Welcome to my Doodle-Bops page! I am very excited to add this wonderful addition to my breeding program. English Goldendoodles are a hybrid cross between a purebred English Cream golden retriever and a standard poodle. The difference between an American golden retriever and a English cream golden is the English retrievers have a shorter/stockier build and blockier head than the American and tend to have a longer, wavy coat. These traits are passed on to their puppies, giving them the appearance of a big fluffy teddy bear. Goldendoodles are everyones friend, get along well with other animals and are very intellegent, easily trained and are very popular as hunting,guide and therapy dogs. Both Goldens and Poodles are ranked in the top 5 breeds for intellegence. Doodles are very low shedding dogs, their coats will range from slightly wavy to curly and do need regular grooming. standard doodles will weigh on average 45 to 65 pounds. Goldendoodles are a hybrid cross between golden retriever and poodle. 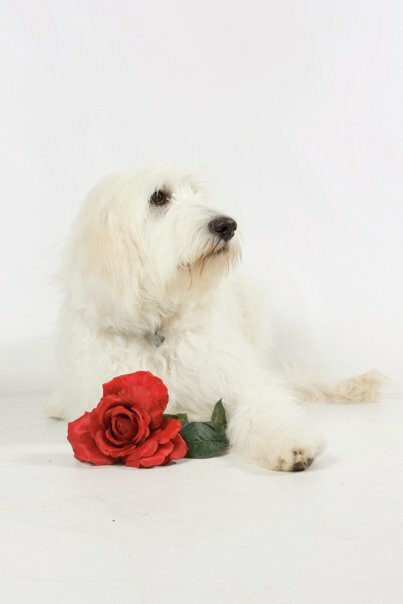 Goldendoodles are everyones friend, get along well with other animals and are very intelligent, easily trained and are very popular as hunting,guide and therapy dogs. Both Goldens and Poodles are ranked in the top 5 breeds for intelligence. Doodles have light to non-shedding allergy friendly coats which will range from slightly wavy to curly. Standard doodles will weigh on average 45 to 65 pounds and miniatures will weigh on average of 30 pounds.